In our never ending quest to bring you the most awesome and tasty products on the planet we have unveiled several new products and updated the online store so that you can make this tasty goodness your very own. 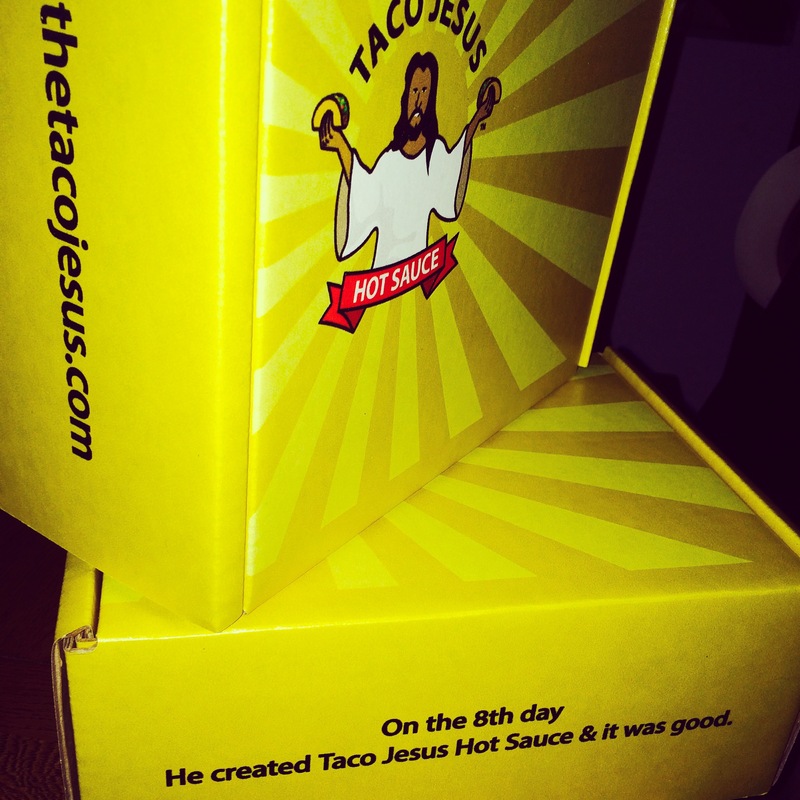 We’ve got two terrific new flavors a new chipotle sauce, and a salsa verde that will both knock your socks off. 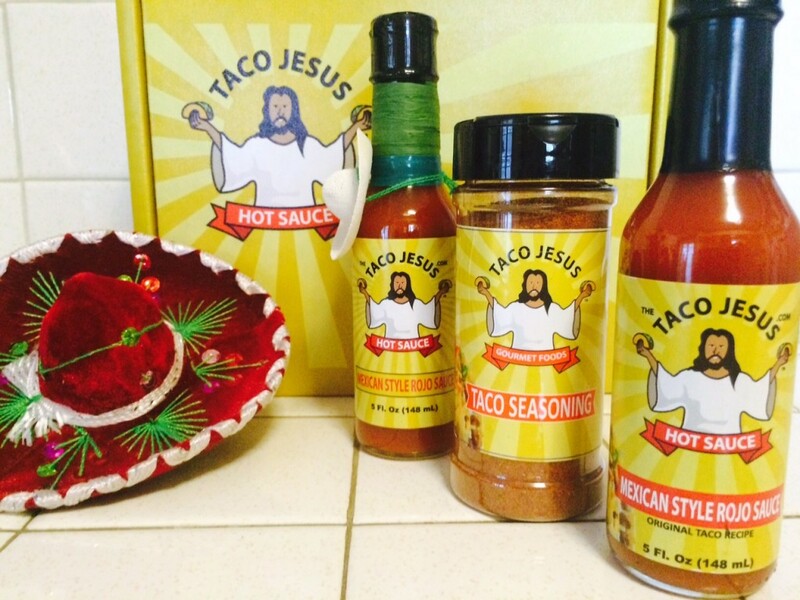 Additionally we have three limited edition bottles of some of your classic favorites, and we’ve added a taco seasoning to the product mix as well as a new Taco Tuesday Fiesta Pack that is sure to turn your next Taco Tuesday into a heavenly delight for all of your family and friends. Also we have a big batch of these awesome new shipping boxes just waiting to bring you some Taco Jesus salvation! What are you still doing on this page? Get over to the online shop and buy our stuff! NOW! (please). Big thanks to Brian Ruhlmann over at crafthotsauce.com for profiling our up and coming brand in his September 2015 newsletter. 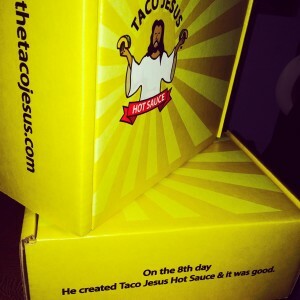 If you haven’t already heard the legend of how Taco Jesus came to be head on over and give it a read. 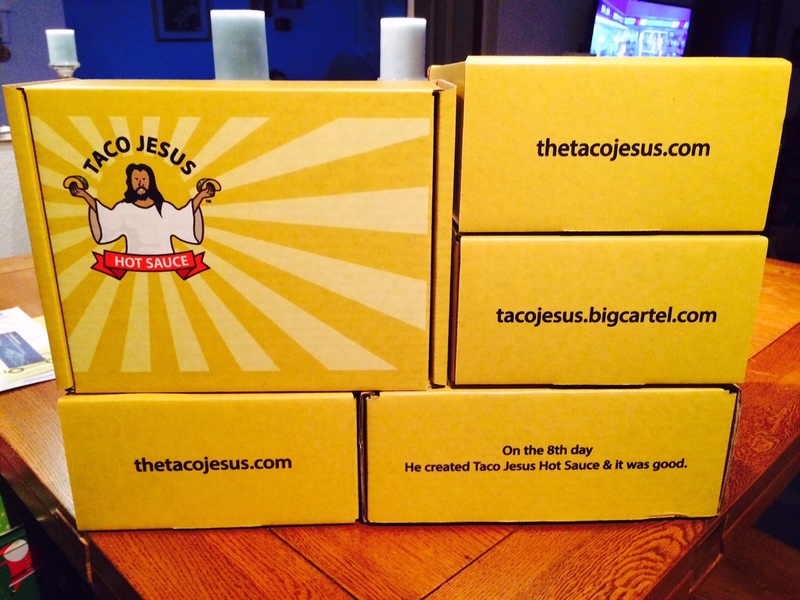 And in other Taco Jesus related news … we’ve picked up these awesome new boxes perfect for shipping Taco Jesus goodness straight to your front door. The order is just in to the manufacturer so they won’t be available immediately but will begin shipping to homes as soon as possible. 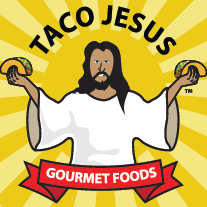 And as a quick reminder, if you haven’t already done it get on over and like our facebook page, and/or follow us on twitter to stay on top of all of the breaking Taco Jesus news.